From a November 1960 issue of The Saturday Evening Post. New! 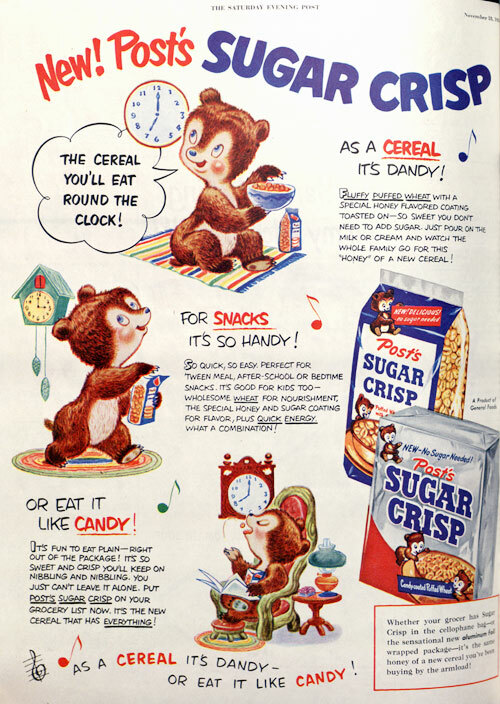 Post's Sugar Crisp.